If you are in the market for new sheets, then you will want to keep reading. I would like to tell you about my favorite brand. 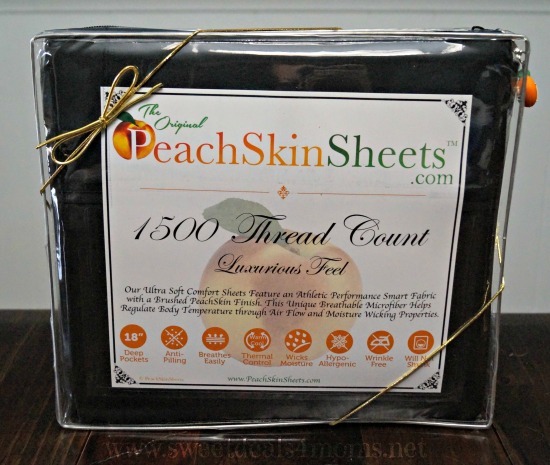 The Original PeachSkinSheets are amazingly soft, with a 1500 thread count feel. They have a brushed PeachSkin finish on both sides. These sheets are breathable, and won’t pill or snag. PeachSkinSheets are perfect for hot sleepers. The durable athletic grade performance SMART fabric wicks away moisture to keep you drier and more comfortable. 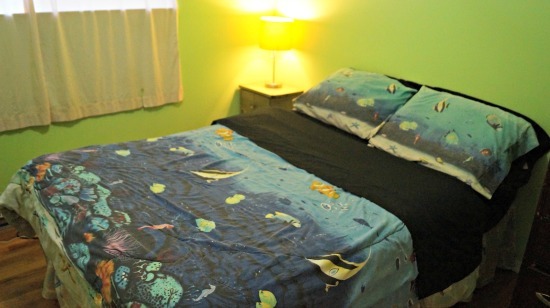 I have used these sheets before and am have now added a second set in one of the kids’ bedrooms. My son chose the black color. Just as my other set of sheets, these are soft, smooth and fit great on the bed. 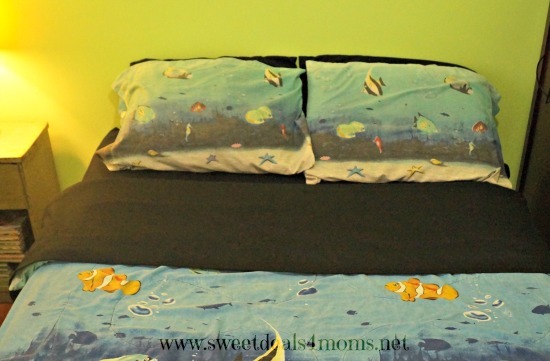 I was wondering if this set might come off the mattress a little easier since kids can kind of get restless in the bed while they are falling asleep, but no, these sheets fit so well that they have not come off on their own. The only time they come off is when I take them off to wash them. The sheet sets come with the deep-pocket fitted sheet, a flat sheet and two standard pillow cases. They will not shrink when you wash and dry them, nor do they pill. Prices start at $55. They always have 2 colors of the month priced at $55 for any size set. The regular sale price is $69.95 for any size set while Split King/Adjustable Bed specialty sizes are $85. PeachSkinSheets really stand behind their product as they are backed by a 2 year warranty against any defects. I love these sheets and I know you will too. Buy it: PeachSkinSheets are available in Split King, Cali King, King, Queen, Full, Twin and XL Dorm Twin and XL Dorm Full. Spoil yourself with some or buy it as a gift. You won’t be sorry. Win it: One of you will win a set of PeachSkinSheets of your choice. Please enter through the Rafflecopter below. It may take 30 seconds or more to load. These sheets would make a great gift. For more gift ideas, be sure to check out my Holiday Gift Guide. Here you will find unique gift ideas for everyone on your list. I would choose the light mocha. I think I’s choose Graphite Gray in queen size. I would get Eggplant sheets in King size. I would love to have the brushed silver sheets. Thank you! I wouldn’t mind the chocolate color sheets. I have never owned that color before! I think I would choose Chocolate for the color of my sheets. BEACH BLUE OR MINT IN KING SIZE WOULD BE GREATLY APPRECIATED. BOUGHT A SET LAST YEAR AND LOVE THEM! !